Why can't we use and change electricity on Shabbat and YomTov? By this I mean why can't we turn lights on and off? I've heard Rabbis say that its because you can't complete a circuit on Shabbat, and that's what you'd be doing by turning the light on and off. Another time I heard electricity was like fire. Is this the only reason? If not, what are the others? Opinions about electricity range from deorita, d'rabanan and technially, not really an issur. The two most commonly cited sources on the topic are the Chazon Ish and R. Auerbach who's opinions on this vary greatly. The basic example of using electricity, (turning on an incandescent light switch) violates the Torah prohibition of lighting a fire on shabbat. (the metal glows, and gets hot) However, even though this was the first application of electricity, and it's the most common, and clearly not allowed, it is not a catch all reason for all uses of electricity. Many want to say that using electricity creates situations of Molid (creating something new) However, R. Auerbach says that you can't expand Molid beyond its usage as defined by the Talmud. The Chazon Ish says that closing a circuit to create current falls under the deoraita of Boneh. Rabbi Shlomo Zalman Auerbach disagreed in the strongest terms. The reasons for this require an indepth understanding of Boneh. Some try to argue that turning on or off an electrical appliance, or just using a button on it, is the "final step" that finishes the the item. R. Auerbach greatly dissagreed with this. If the electrical device always and purposefully creates sparks, (like my radiator for example) the creation of sparks might be a problem. In Israel, or places where power plants are run/owned by Jews, the use of electricity might cause these power plants to consume more fuel. Electricity entering into a wire might heat that wire (according to the Chazon Ish). However, in recent years the prevalence of solid-state technology has made the reality underlying this concern obsolete in many cases. Rabbi Auerbach says that outside the case of an incandescent light bulb, the true reason not to use electricity on shabbat/yom tov is minhag. Not Shabastik/ In the spirit of Shabbat / yom tov. Many say that while electricity in most cases might actually be allowed, it's not in the mood of shabbos and is a "davar chol", something that is normally done during the week. Especially after the past 80 years of Jews not using electricity on Shabbat. Rav Hillel Zacks at a Shuir Pesicha on Maseches Shabbos wanted to prove that it is prohibited as "Meleches Tofer". רב הלל בשיעור פתיחה בישיבה למסכת שבת: אמר שגדולי ישראל שבכל הדורות שקדו על תקנת ישראל שלא יעברו איסורים, וכשהתחדש החשמל רצו למנוע את ישראל מלעבור על איסור ולהדליק חשמל בשבת, אבל לא מצאו מדין איזה מלאכה בעצם זה אסור. אז בהתחלה אמרו שזה מבעיר, אח"כ התחדשו הפלורליסטים שזה כבר לא מבעיר ולא ידעו מאיזה דין לאסור, עד שבא החזו"א ואמר שזה משום בונה ואף אחד לא מבין אז אי אפשר להתווכח. היה עוד אחד (י"א שהכוונה על עצמו) אחרי זה שרצה לטעון שזה בכלל תופר... עד כאן דבריו. One more reason is shvisas keilim which is a gezeira dirabanan from the times of chazzal. And while Beis Hillel allowed one to leave his keili to continue a milacha that was started before shabbos, such as soaking material in dye or leaving a pot of food to continue cooking, as long as the other gezeiros were taken into account, Beus Hillel is in agreement with Beis Shamai that a keili cannot start a milacha on shabos. This may or may not preclude adjustments of the keili such as dimming a light, but it would definitely apply to turning it on and most other functions of today's electronic devices. Not the answer you're looking for? 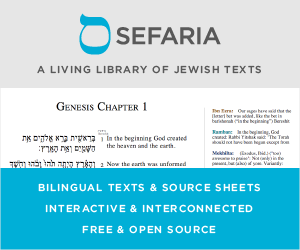 Browse other questions tagged shabbat halacha-theory melacha-creative-work electricity . why is electricity prohibited on shabbos? Is using a (non-touch-screen) Kindle on Shabbat permitted? If one watches television on Friday night, will one go to hell? Why do all people disappear on Saturday at mi.yodeya, is this considered work?